7 Sins Brewery has co-hosted Open Mic for a good part of the year with Sensory Winery & Art Gallery. And it only gets better. Now the audience gets to hear some really cool jams from renowned local bands. This month Mark and Dinah of the Acoustic Gypsies will perform. The Acoustic Gypsies are from Erie and known for their acoustic rock covers – they play Allman Brothers, Van Morrison, Skynyrd, CCR and stuff like that. Sweet. You can always show off your own skilz and score a free beer too, if you dare. The December event is coming up this week – Thursday, December 15, 2016 at 7:00 p.m. 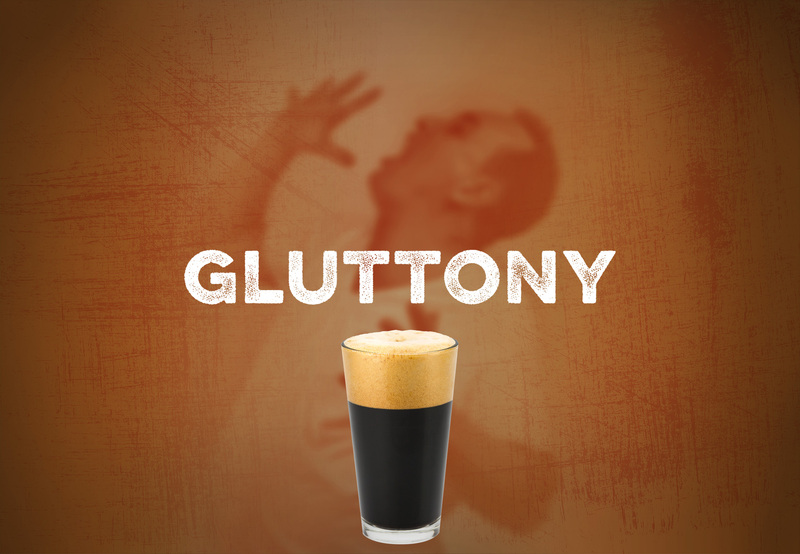 Speaking of beer, the Gluttony Stout is like chillin’ by a warm fire after braving the winter weather, warms you up and tastes so good, with a perfect finish. Come try it. Pints are only $4. Additionally, Envy Amber Ale, Greed Brown Ale, Wrath IPA, and Blood Orange Ale are on tap. And – throughout December, when you buy a 64 oz. growler, you get to hang with the Sensory and 7 Sins crowd and drink a pint, on the house. Sensory wine will also be served at $4 a glass. And free munchies for all as well.